So let’s cut to the chase and get to the point… If you have just started network marketing or you have been in the business for a while, you may be thinking that there are a few tasks in your business that you might be able to do just a bit easier or quicker… and whether there are many ways of building network marketing that you are not even conscious of. You know, those super secret insider network marketing tips you have been hearing about. There is no doubt that continuing education is essential for anyone in business. Below there are a few proven network marketing tips which will help you to run your business just that little bit better. My advice here… Follow These Tips! And reason I say this is that I’ve regularly mentored, been mentored by and interviewed heavy hitters (people whose business do $500k to $1 billion USD annually)… and these tips are a summary of things they have done that just about everyone I know can do! Tip #1 – Heavy hitters think about their companies all the time, and YOU need to, too. They know that network marketing is a business and not something that they do only when they feel like it. If you recall why you started in network marketing it was probably your goal to earn some additional income to pay for bills, or perhaps you were dying to get rid of your dead-end day job so you decided that becoming and earning meaningful income as a full-time network marketing professional was a good idea. But after months gone by without seeing desirable results, you are likely not approaching your business with as much enthusiasm any more if at all. The truth is you are losing interest. This happens to most of us, and yes, most definitely the heavy hitters! Keep in mind that they once started from scratch just like you did! Remember the reasons why you started in net marketing and physically write down your list of goals on a piece of paper, a whiteboard or on you wall. And then stick it somewhere where you can see it all the time as a reminder. Tip #2 – Set yourself a schedule, these are the hours you can dedicate to your business. Although it may be a few hours on your day off or two or three hours on Saturday and Sunday, write that down too and hang it on the wall. You’ve got to dedicate your time to your business, like the heavy hitters do. It is particularly crucial when you’re just starting out because you need to develop good, positively productive habits. Anything you do in your business will have to be done by you. Ask yourself this question – If a part-time job that requires you to be working these hours and doing the things which you do in your business to earn what you’re aiming to earn, would you sign up for the job? Tip #3 – Network marketing forums are a good place to get together with successful marketing experts and to learn from them and their experiences. Don’t spend all day on them, implement the good tips that you pick up and become involved. 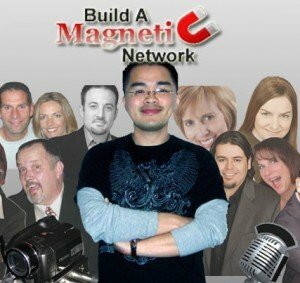 Many network marketing pros that I know are happy to share their secrets and tips to success on forums. Tip #4 – Remember why you joined the company you joined? You SHOULD be undoubtedly committed to the product (otherwise don’t promote it). You must If you’re not excited about the product, service and the company yourself then how are you going to be able to get people interested in it… ethically? Don’t forget that you’ve got an upline (or an entire line of sponsorship above you), and they have been through this also and should be your coaches to guide you to succeed in your company! Learning from them means that you also can become an effective leader for your own downline – your eagerness and enthusiasm should rub off on them. Don’t feel isolated and exasperated because you do not know what to do. If you see someone that is successful that you feel you can talk to, make it a point to ask them how they are doing what they are doing. Always ask for advice and inquire about what system or strategy they’re using. Ask them to give you some tips about how to do particular things. Success is not genetic… you need to learn why others are successful. Let them give you the tips and clues to success, so that you can pass them on to your downlines! P.S. If you haven’t found out already… having a growing LIST of qualified prospects to market your network marketing opportunity and products is THE lifeblood of your business. Our team has been able to use an online system called Empower Network to accumulate over $250,000 in commissions while generating over 11,000 leads branded to us (not some other guru but ourselves) since November of 2011… and still going strong at around $30,000 a month with leads flooding in on autopilot. With the Empower Network system you also get access to CURRENT marketing training from a community of top producers who are making amazing things happen today… Right here, right now. Check it out yourself.